Down by Centum City Subway Station in Busan is a building that is officially recognized by Guinness World Records as "THE WORLD'S LARGEST DEPARTMENT STORE". 신세계 샌텀시티 is massive, but the phrase "department store" may be a little misleading. In one corner of the basement lies Vecchia & Nuovo, a tiny cafe dedicated to providing, pizzas, pastas and salads to hungry shoppers. 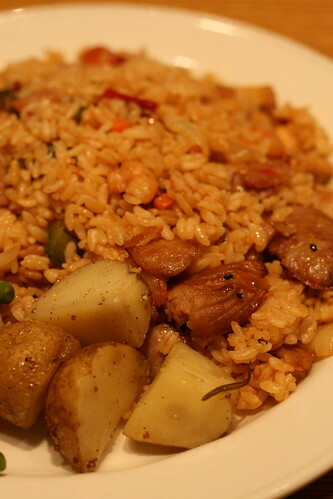 If you look carefully at their counter you'll spot an extra special treat: Jambalaya Rice for 7,500 won per portion. It's not haute cuisine, it's not pretty and it's certainly not Michelin starred, but the portions are large, the quality is good and you'll be treated to a spicy little mixture of sausage, shrimp and rice (with bacon, green beans and potatoes thrown in as a bonus). It's a hearty meal that will fill you up and get you ready for the hours of shopping/film watching/skating/sweating that you have planned. 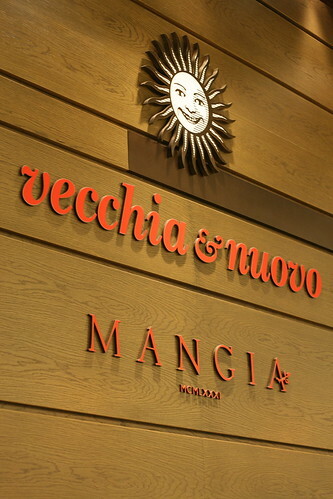 To get to Vecchia & Nuovo head to the Shinsaegae Department Store at Centum City Station in Busan and go down to the first floor basement. You can call them on 051 745 2185.